As summer is just hitting high upon us. It’s vital to drink a lot of fluids. Sharing three different methods of juice making with Watermelon. 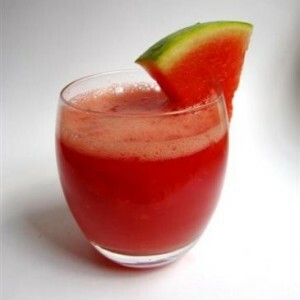 Watermelon just quenches away your thirst during summer. It also has multiple nutritional values. Cut the watermelon into cubs post cleaning. Put the watermelon cubes into a bowl or directly into the blender. Now mix them with the powdered sugar or honey according to your taste buds. Add water for making it a little thinner and add ice cubes accordingly, blend them together until smooth, strain the juice to remove the pulp and serve. Juice of one lemon (if small, then 1 1/2). Slice the watermelon in small cubes. Blend the mint, watermelon cubes and lemon juice together. Drain the mix through a strainer, into a saucepan. With a spoon press down the watermelon using a wooden or steel spoon as this would release the most of juice to the vessel. Heat the saucepan to medium heat for 3 to 4 min and bring the juice to summer. Note: Do not allow it to boil, taste it frequently know the flavours development. Pour the juice moved from the saucepan into a container and chill it before you serve. Peel the watermelon and slice into small cubes. Set seedless pomegranate into the blender (you can keep few seeds aside for garnish), add the watermelon cubes and raspberries and blend together until its smooth.